The Pacsafe Venturesafe EXP34 Wheeled Luggage is an agile anti-theft wheeled luggage bag that comes with brilliant security features like eXomesh anti-theft slashguards, locking security cable for enhanced security. The bag also has extra features like puncture resistant ToughZip, interlocking zip pullers. It's top-tier construction combined with anti-theft technology will keep up with any adventure & keep your valuables secured. The internal organization is created enough room for your gears, means you can fit all of your stuff into the internals pockets provided. 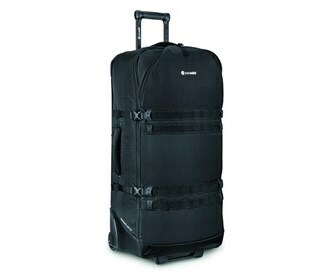 The Pacsafe Venturesafe EXP34 Wheeled Luggage - Black has many exciting features for users of all types. 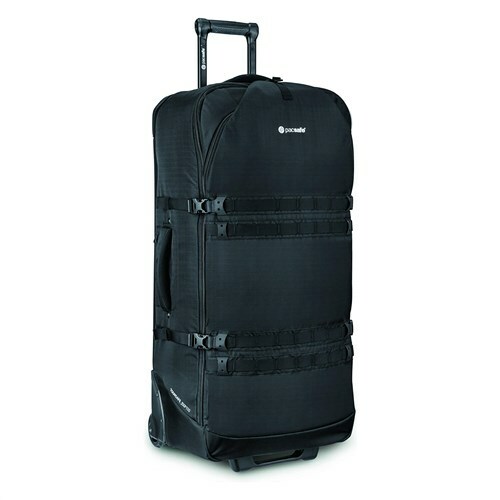 The Pacsafe Venturesafe EXP34 Wheeled Luggage - Black is sold as a Brand New Unopened Item.